With memories of the triumphant 2015 Triple Crown run by Zayat Stables LLC’s American Pharoah still fresh, the owners and trainers of 368 3-year-old Thoroughbreds, headed by Reddam Racing LLC’s unbeaten champion Nyquist, have embarked on a new Triple Crown dream by making their young stars eligible for the 2016 series of American classic races that includes the $2 million Kentucky Derby Presented by Yum! Brands (Grade I), the $1.5 million Preakness (GI) and the $1.5 million Belmont Stakes (GI). In the year following the first Triple Crown sweep since 1978, the early nomination total for 2016 is the smallest since 2011, when 364 horses were made eligible to compete in the series. Early nominations to the Triple Crown in 2015 numbered 429 and nine late nominations raised the final total to 438. The 2016 Triple Crown series opens Saturday, May 7 with the 142nd running of the 1 ¼-mile Kentucky Derby (Grade I) at Churchill Downs in Louisville, Ky. The 141st Preakness (GI), the 1 3/16-mile second jewel, is set for Saturday, May 21 at Pimlico Race Course in Baltimore, Md. The 148th running of the Belmont Stakes (GI), the 1 ½-mile final leg, is scheduled for Saturday, June 11 at Belmont Park in Elmont, N.Y. 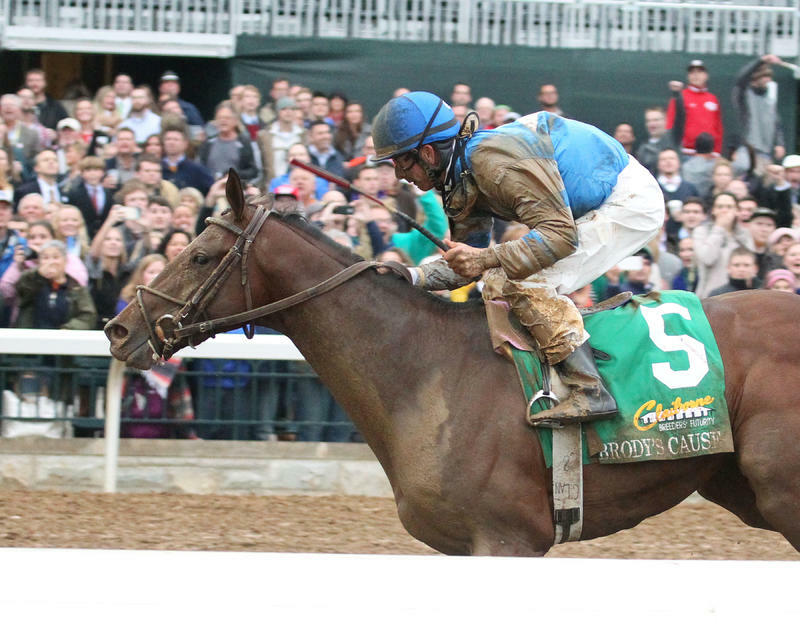 The early nomination period for the 2015 Triple Crown closed on Saturday, Jan. 16. Nominations during the early phase were required to be accompanied by payment of a $600 fee. 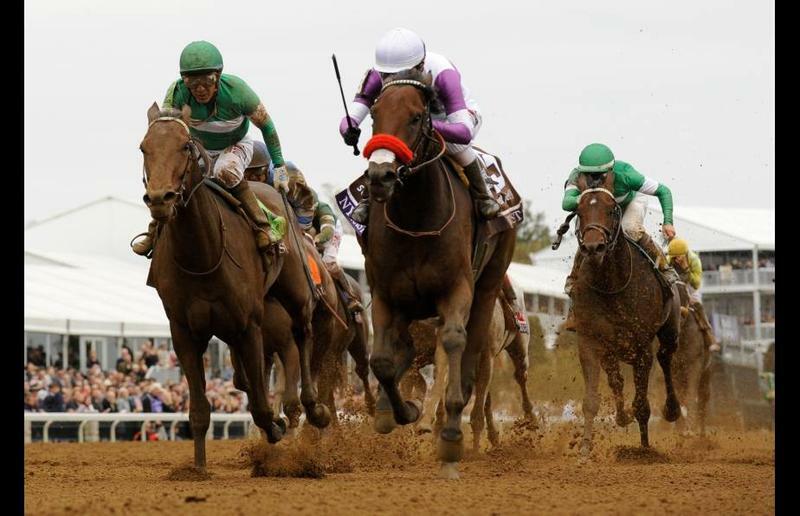 A late nomination period for the Triple Crown is underway and requires payment of $6,000 for each nominated 3-year-old. The late nomination period runs through Monday, March 21 at 11:59 p.m. (all times Eastern). This year’s 368 early Triple Crown nominees represent 1.6 percent of the 2013 North American foal crop, which was estimated at 23,500 Thoroughbreds, making it the third highest crop representation since 1986. Any discussion of young stars nominated to the 2016 Triple Crown must begin with Nyquist, the Eclipse Award champion 2-year-old who capped a perfect five-race 2015 campaign with a victory in the $2 million Sentient Jet Breeders’ Cup Juvenile (GI) at Keeneland Race Course in Lexington, Ky. Reddam Racing owner J. Paul Reddam named the colt in honor of National Hockey League star Gustav Nyquist, a forward for the Detroit Red Wings. Competing for the team of Reddam, trainer Doug O’Neill and jockey Mario Gutierrez that won two-thirds of the 2012 Triple Crown with Kentucky Derby and Preakness winner I’ll Have Another, the son of first-year sire Uncle Mo also won the FrontRunner (GI) at Santa Anita, the Del Mar Futurity (GI) and Del Mar’s Best Pal (GI) in 2015. Nyquist earned $1,613,600 during his first season of racing. 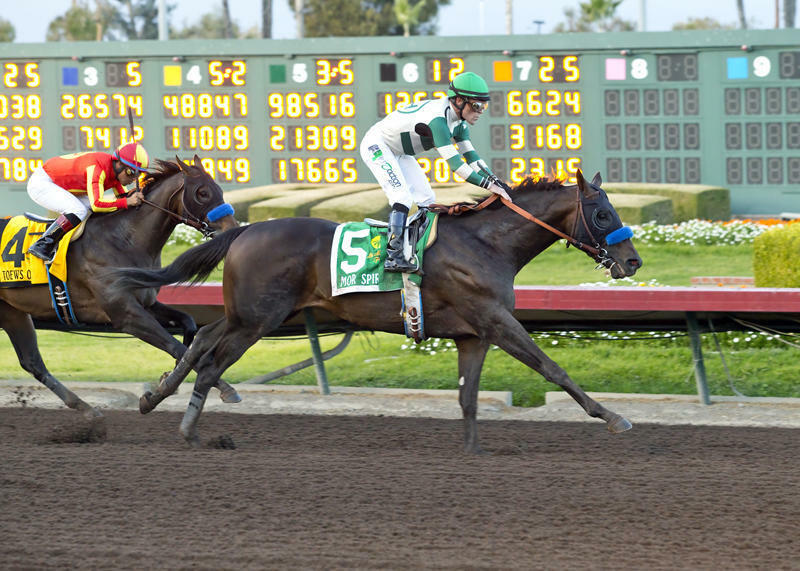 Other accomplished young stars nominated to compete in the 2016 Triple Crown series include Albaugh Family Stables’ Brody’s Cause, winner of the Claiborne Breeders’ Futurity (GI) and third in the Breeders’ Cup Juvenile, both at Keeneland; Michael Lund Petersen’s Mor Spirit, winner of the Los Alamitos Futurity (GI); St. Elias Stable, MeB Racing Stables LLC and Brooklyn Boyz Stables’ Champagne (GI) winner Greenpointcrusader; Reddam Racing LLC’s Ralis, winner of Saratoga’s Hopeful (GI); John C. Oxley’s Kentucky Jockey Club (GII) winner Airoforce; Godolphin Racing LLC’s Annual Report, winner of the Belmont Futurity (GII); Shadwell Stables’ unbeaten Mohaymen, winner of the Remsen (GII) and Nashua (GII); Big Chief Racing LLC’s Exaggerator, winner of the Saratoga Special (GII) and Delta Jackpot (GIII); and Swipe, owned in partnership by Big Chief Racing LLC, Fizzy Racing LLC, Rocker O Ranch LLC and Desormeaux et al. and runner-up to Nyquist in the Breeders’ Cup Juvenile, FrontRunner, Del Mar Futurity and Best Pal. On the heels of his Triple Crown-winning season with American Pharoah, four-time Eclipse Award winner and racing Hall of Fame member Bob Baffert led all trainers with 35 3-year-olds nominated to the 2016 series. American Pharoah’s heroics lifted Baffert’s victory total in Triple Crown races to 12, which ranks second to fellow Hall of Famer D. Wayne Lukas’ record of 14 victories in the classic series. Baffert has four wins in the Kentucky Derby, six Preakness triumphs and his Triple Crown-clinching 2015 Belmont Stakes win – his first in the final jewel of the Triple Crown. Baffert’s roster of 35 2016 Triple Crown nominees includes Los Alamitos Futurity winner Mor Spirit; Speedway Stables’ Collected and Juddmonte Farms’ Let’s Meet in Rio, the 1-2 finishers in Santa Anita’s Sham (GIII); Karl Watson, Mike Pegram and Paul Weitman’s Bob Hope (GIII) winner and Los Alamitos Futurity runner-up Toews On Ice; and Baoma Corporation’s impressive Del Mar maiden winner Drefong. Seven-time Eclipse Award winner Todd Pletcher, who has three career victories in Triple Crown races, nominated 28 horses to the 2016 series – down from his 34 nominees in 2015. Others trainers with double-figure early nomination totals include Chad Brown (12 nominations), Mark Casse (11) and Lukas and Mike Maker, each of whom trains 10 nominees. In a bid for unprecedented back-to-back winners of the Triple Crown, Zayat Stables LLC is the leading owner of 2016 Triple Crown nominees with 15, up from nine horses nominated by the stable a year ago. The Zayat nominees include King Kranz, runner-up to Annual Report in the Belmont Futurity and winner of the Lost in the Fog Stakes at Aqueduct on New Year’s Day, and Justin Squared, an impressive winner in his lone start at Del Mar. Just behind Zayat Stables is Thoroughbred racing icon Calumet Farm, which nominated 11 3-year-olds during the early phase. Calumet campaigned Triple Crown winners Citation (1948) and Whirlaway (1941) and is the all-time leader in victories in the Triple Crown series with 18. Calumet won the Kentucky Derby a record eight times, has won a record eight renewals of the Preakness and collected its pair of Belmont Stakes wins with Triple Crown-clinching victories by Whirlaway and Citation. The victory by Oxbow in the 2013 Preakness was the first Triple Crown victory for Calumet Farm under the leadership of new owner Brad Kelley, and also the first since Forward Pass took the 1968 Preakness. Ten Triple Crown early nominees are owned by Charles Fipke, the only other owner with a nomination total in double figures. Ken and Sarah Ramsey own eight early-phase nominees, followed by a seven-member logjam at six nominations that includes Conquest Stables LLC, Godolphin Racing LLC, Klaravich Stable and William Lawrence, Reddam Racing LLC, Stonestreet Stables LLC, West Point Thoroughbreds and the partnership of Michael Tabor, Mrs. John Magnier and Derrick Smith. Fipke sits atop a power-packed roster of breeders of 2016 Triple Crown nominees with 11. 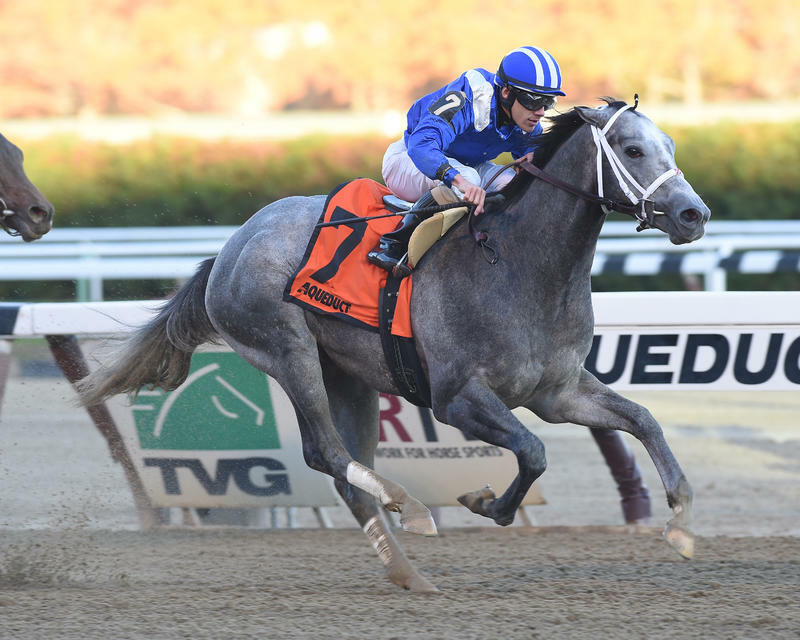 He is followed by Adena Springs and Calumet Farm, each of which bred eight nominees, and Claiborne Farm and Stonestreet Stables LLC, which bred five nominees apiece. The roster of 368 Triple Crown-eligible horses includes 327 colts, 30 geldings, eight ridglings and three fillies. The nomination roster includes 351 horses bred in the United States, with 283 of that number, or 76.9 percent, were foaled in Kentucky. Twenty-two nominated horses were bred in Florida and 11 in New York. Seventeen nominees were bred outside of the United States. Of those international nominees, nine were bred in Canada and four in Great Britain. Heading the international nominees is Mrs. Evelyn M. Stockwell’s Hit It a Bomb, the Aidan O’Brien trained winner of the Breeders’ Cup Juvenile Turf (GI) at Keeneland. The Kentucky Derby field has been limited to 20 starters since 1975 and the horses that enter the starting gate for this year’s running will again be determined by points earned in the 35-race “Road to the Kentucky Derby” eligibility system, which debuted in 2013. If Derby entries total more than the maximum field of 20, up to four “also eligible” entrants will be permitted. 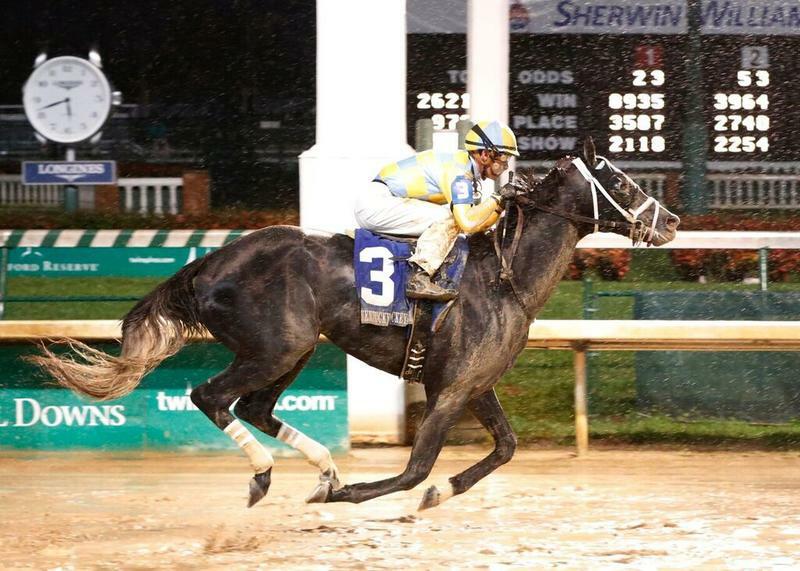 If one or more starters is scratched prior to 9 a.m. on Friday, May 6, the also-eligible horse or horses with the highest preference in the “Road to the Kentucky Derby” system will be allowed to replace the scratched horse or horses in the starting gate. Churchill Downs adjusted its entry process in 2014 to permit all horses nominated prior to the Kentucky Derby to be treated the same as original nominees. If one or more supplemental nominees possess sufficient “Road to the Kentucky Derby” points to qualify for the Derby field, they will be allowed to start over original nominees with lesser qualifications. 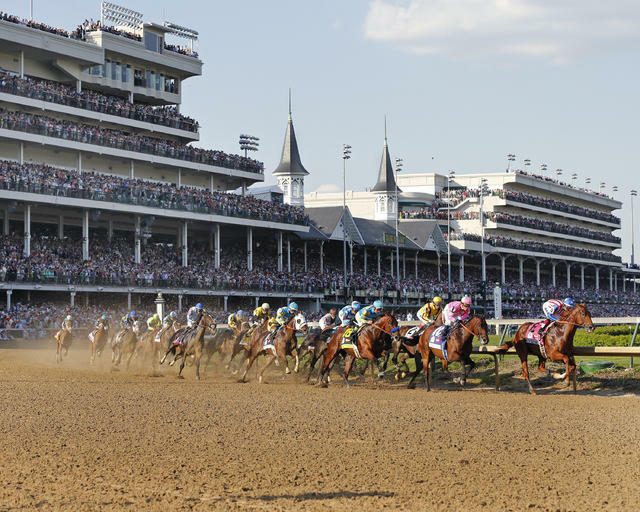 Under its previous policy, Churchill Downs gave preference to original nominees to the Kentucky Derby and Triple Crown over supplemental nominees. A sweep of the three Triple Crown races – one of the most difficult feats in all of sports – and the 2016 Triple Crown triumph by American Pharoah was only 12th in the history of the series. Previous Triple Crown winners include Sir Barton (1919), Gallant Fox (1930), Omaha (1935), War Admiral (1937), Whirlaway (1941), Count Fleet (1943), Assault (1946), Citation (1948), Secretariat (1973), Seattle Slew (1977) and Affirmed (1978). The 37-year gap between American Pharoah’s Triple Crown and the previous sweep by Affirmed in 1978 was the longest in the history of the series. The previous record was the 25-year span between the 1948 Triple Crown earned by Citation and Secretariat’s record-shattering three-race sweep in 1973. The Triple Crown triumph by American Pharoah grabbed the attention of the nation and his historic run through the spring classics helped earn Eclipse Award honors as “Horse of the Year” and champion 3-year-old in 2015. 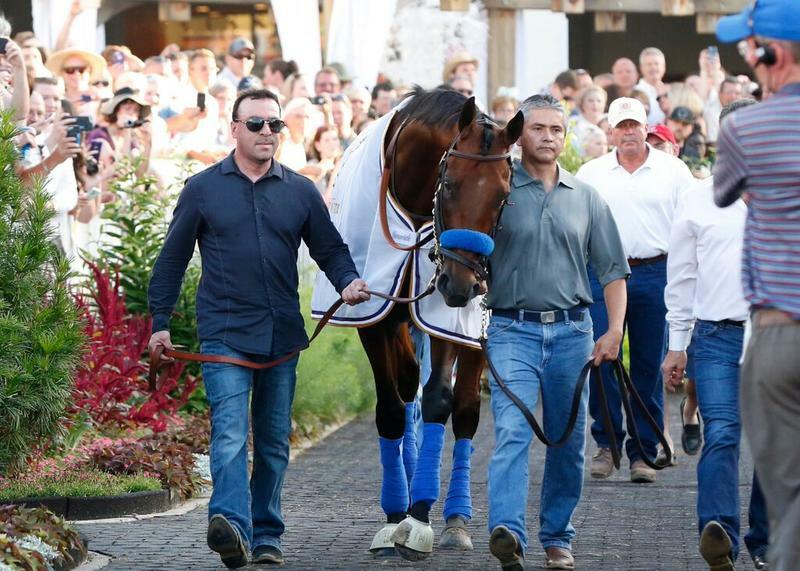 Ahmed Zayat of Zayat Racing was honored with Eclipse Awards as the nation’s top owner and breeder, while Baffert earned his fourth Eclipse Award as the top trainer in the United States. American Pharoah completed his racing career with a victory over older rivals in the $5 million Breeders’ Cup Classic at Keeneland. The homebred son of Pioneerof the Nile had a career record of 9-1-0 in 11 races over two seasons and earnings of $8,650,300. He won seven of eight races with one runner-up finish in 2015, and collected $8,288,800 of his career earnings total during that unforgettable season – a North American single-season record.